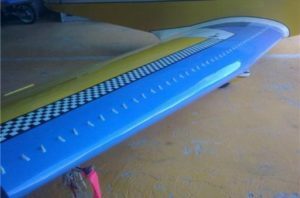 The vortex generators (VGs), applied on the leading edge of your wing improve its performances. The speed range is extended downwards (the stall speed is lower than before), while the cruise speed remain unchanged. Ailerons authority at low speed is greatly improved. These characteristics will make your wing safer. The landing and take-off will be shorter and easier. Our VGs system is effective as well on 3-axis ultralights, trikes wings and even on hang gliders. Each VG produces a little vortex that goes along the upper surface “catching” air from the turbolent boundary layer and reducing its thickness. This energization of the boundary layer allows to delay the propagation of the stall caused by a separation. 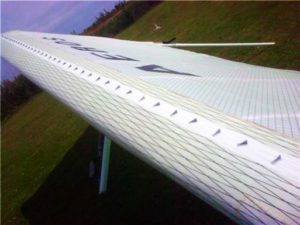 A VGs equipped wing generates lift at lower incidences. The drag produced by the VGs is balanced by the reduction of the total drag produced by the wing and that’s the reason why there is no degradation of the speed performances. The VGs position is very important, the wrong positioned VG is unuseful. The dimension and the shape are also significant in order to obtain the benefit wished. After months of testing period, we optimized the first vortex generator for the ultralights: STOL 2. 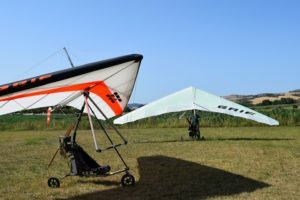 For installing the VGs it has been developed an original method of caluculation of the correct positioning using specifics templates for 3-axis ultralights or trike wings. 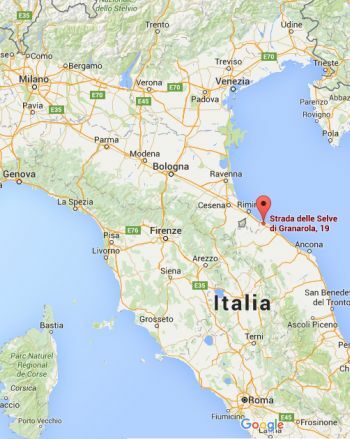 Is anyway possible to be helped by our staff for the VGs setting. The material choosen for the production is Polypropilene (PP), unbreakable and gasoline resistant. VGs are availables in white or neutral colour.